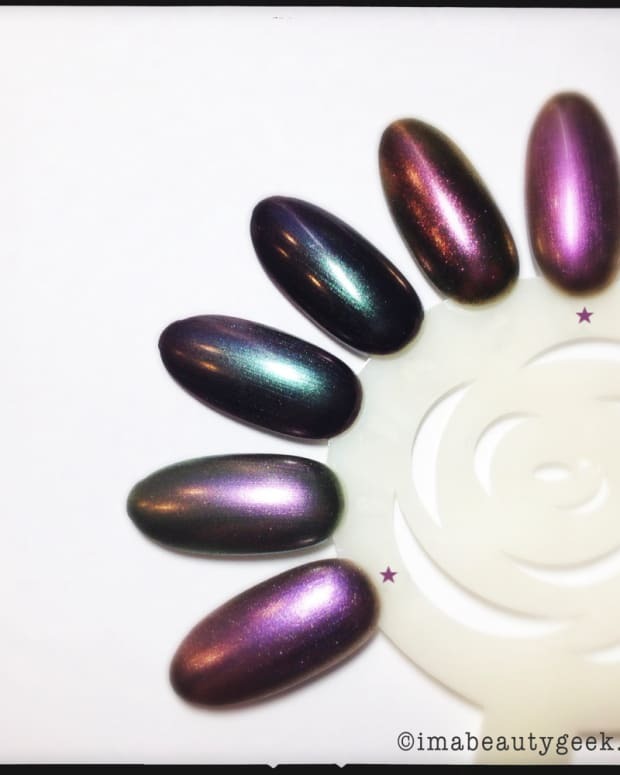 Do I have an OPI Tauple-less Beach dupe in my collection of polish? Nope. I do have similars though. They’re related. Maybe like cousins. 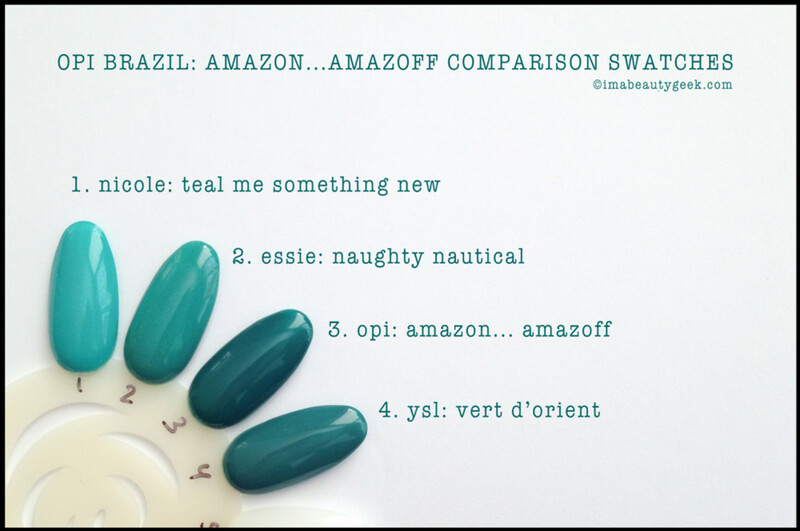 What about an AmazON AmazOFF dupe? Almost, but not quite. So close! Now you’re looking for a Next Stop Bikini Zone comparison, right? Well, here it is. 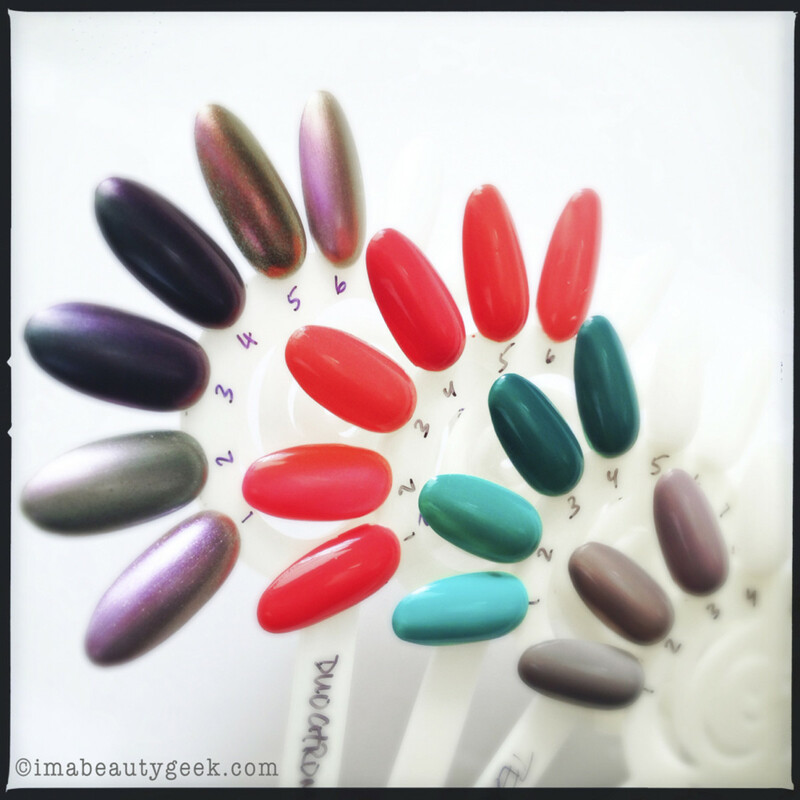 No dupes there, either. Similars, but no twins. 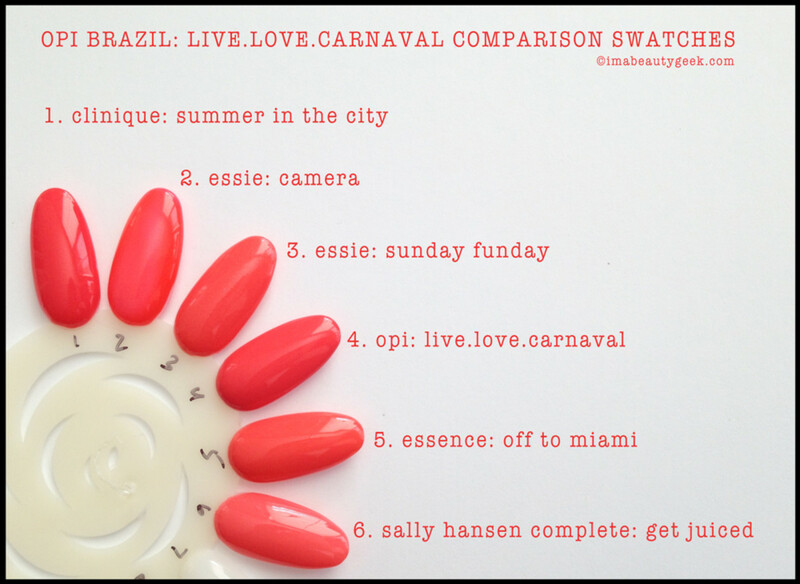 Then there’s this here OPI Live.Love.Carnaval. Boy howdy do I have dupes a-plenty for this one! So many to chose from but my fave is probably #5. That’s the Essence Off To Miami. Why is that one my favourite? Because it costs a mere $1.99. 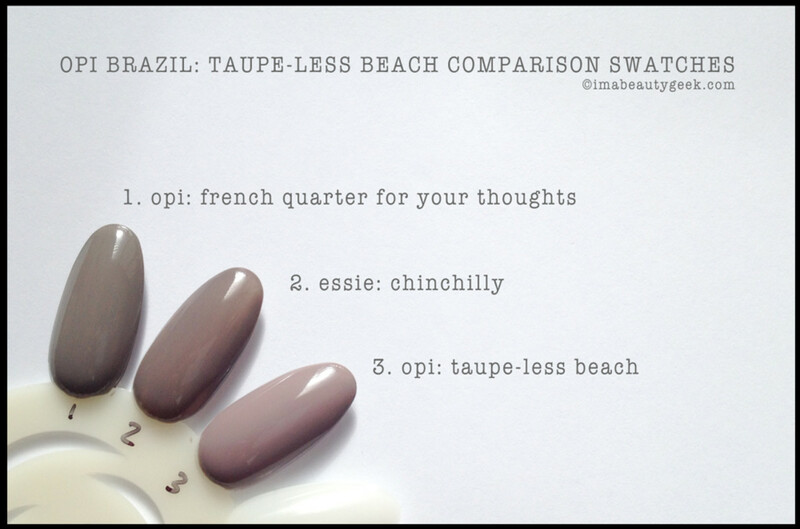 There you have it, the requested dupes and comparison swatches for the OPI Brazil collection. If you’ve got more requests, slap a comment in the comment section and I promise you I’ll dig through my hoard and get back to you as soon as I can. 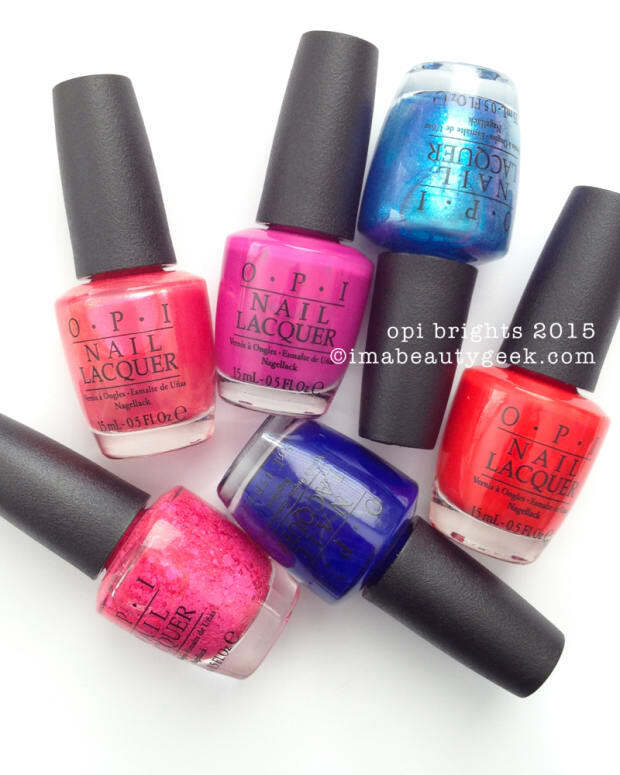 You can see all our manicure swatches of the OPI Brazil Collection right here. It&apos;s beee-ooo-tiful.